Superdry men's hooded SD-Windtrekker jacket. 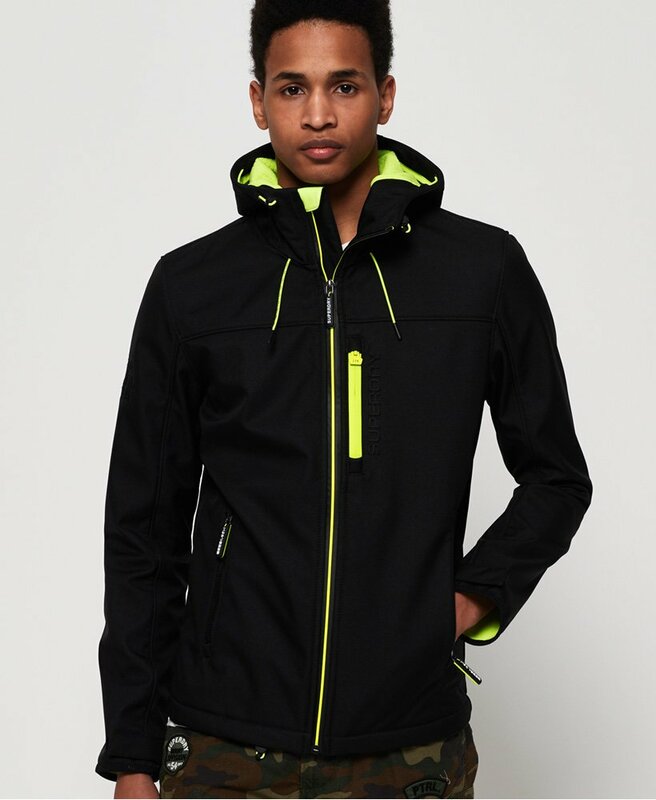 This SD-Windtrekker jacket features a main zip fastening, bungee cord adjustable hood, two front zip fastened pockets and one on the chest with headphone cable routing. This jacket also features a bungee cord adjustable hem, hook and loop fastenings on the cuffs and an embroidered Superdry logo on the sleeve. Finished with an embossed Superdry logo on the chest and back.